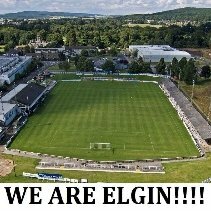 This Saturday we face Elgin City at Forthbank both sides don't have much to play for apart from getting the coveted 5th spot in the League. Hopefully for the Binos our strikers will have their scoring boots on for this game after passing up a number of good chances against Queens Park last Saturday. For Elgin don't know what to expect after the defeat at home last week by Albion Rovers, normally their is a few goals when both these teams meet and hopefully the Binos take all 3 points from this game. Things are hotting up in the race for 5th Place. Getting exciting. Twelve pointer? May stay at home and pick the Ouse oot of ma belly button. Team news out Danny Jardine, Ross McGeachie and possibly Dylan Mackin. Neil McLaughlin looks to come in to the squad for this game. Hopefully a home win by at least a couple of goals but expect Annan to beat Berwick and clinch a playoff place, so its planning for next season and hopefully a chance of promotion. Poor game today, we got the win in the end but not a classic by any means. Still it another 3 points on the march to the coveted 5th spot in the League. I actually enjoyed the game, despite the result. Seemed a very even game, better in the first half than the second and a typical bit of poor defending from Elgin to split the teams. It was a great free kick from Jordan Allan though! Had to be him didn't it? Took the game in as a neutral today and Elgin can feel hard done by. Really should've had 2 in the opening 15 minutes. 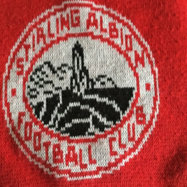 Stirling are good going forward but poor at the back. The left back is decent but the other 3 weren't great. The keeper could do with working on his distribution! Elgin lost everything up top when 12 went off. A draw was a fair reflection for me. Stirling are good going forward but poor at the back. The left back is decent but the other 3 weren't great. Summed up our season in 1 sentence, except our number 3 (Jordan Allan) is woeful selfassemblyshire, despite doing no better than ok today. 3 points, another 90 minutes for Lee Hamilton and another goal for Darren Smith. Sadly a similar theme for Elgin. Somehow manage to lose games when they play well and a draw is the least they deserve. Need to be a lot more streetwise in defending. It should have been 3-2 at half time with 5 wonder saves from both keepers. Thought we edged the game up until HT. Second half Elgin were slightly better and therefore a draw would have been fair. But a great header won the game and we have lost up at Elgin in the opposite manner recently. As the manager said: we have 5 players out with injuries. When they return we will be stronger. Elgin and Stirling are mid table teams and very similar - open attacking football with defensive frailties.